Mary Annis Berry was born on 20 July 1895 in Bedford, Virginia. James Micajah Berry and Emeline L. Campbell appeared in the US federal census of 1 June 1900 in Bedford, Virginia, at Bedford Avenue. Other members of the household included Mary Annis Berry, Abbie Howe Berry, James Micajah Berry, Thomas D. Berry, Eloise Douglas Berry and John Clarke Berry. The following appeared on 30 January 1908 in The Times-Dispatch: (Bedford City, Jan. 29) The funeral services of Mrs. Em. Campbell Berry took place this morning from the home of her husband, Mr. James M. Berry, on Bedford Avenue, conducted by Rev. Dallas Tucker, rector of St. John's Episcopal Church, of which she was a devoted and valued member, being also a most efficient and useful member of the Woman's Auxiliary Missionary Society and Guild of the church. There was a large assemblage of relatives and friends to testify to their love and admiration. Mrs. Berry was a native of Galveston, Tex., whence about fifteen years ago she came as the bride of Mr. James M. Berry, and by her attractive person, rare intelligence, culture and loveliness of character soon won her way to the hearts of all those with whom she came in contact. She is survived by her husband and six children, who are Ellaoise, Mary, Clark, Edmonia, Nellie and Georgia, the two last twin infants, only ten weeks old. Scarce less devoted to her are the children of Mr. Berry's first marriage, who are Mrs. George Miles, Jr., James and Tom Berry. The following appeared on 13 May 1909 in The Times-Dispatch: (Bedford City, May 12) James M. Berry died this afternoon after an illness of many months, aged forty-eight years. He was engaged in the tobacco business until ill health compelled his retiring. He is survived by the following children: Mrs. George Miles, Jr., J. M. Berry, Jr., Thomas D. Berry, Eloise, Mary, Clark and Edmonia Betty; a sister, Mrs. J. F. Spencer, of Brookneal; two brothers, T. D. and W. W. Berry. He was a nephew of B. H. Berry, Miss Ophelia and Mrs. James Poindexter, of Richmond. Charles Kleber Lee and Lucie Frances Campbell appeared in the US federal census of 15 April 1910 in Fort Worth, Tarrant County, Texas, at 904 West Fifth Street.. Other members of the household included Mary Annis Berry, Francis Jefferson Wren. The following appeared on 7 July 1910 in the Galveston Daily News: Mrs. Kleber Lee of Fort Worth, and daughter, Miss Mary Berry, were the guests of Mrs. George H. Lee. The following appeared on 20 June 1911 in the Galveston Daily News: Mr. and Mrs. Kleber Lee and Miss Mary Berry have returned to Fort Worth after a delightful visit. Miss Emma Lee returned with them, to be their guest for a few weeks. Miss Berry was here during commencement and all the senior class parties and frolics. 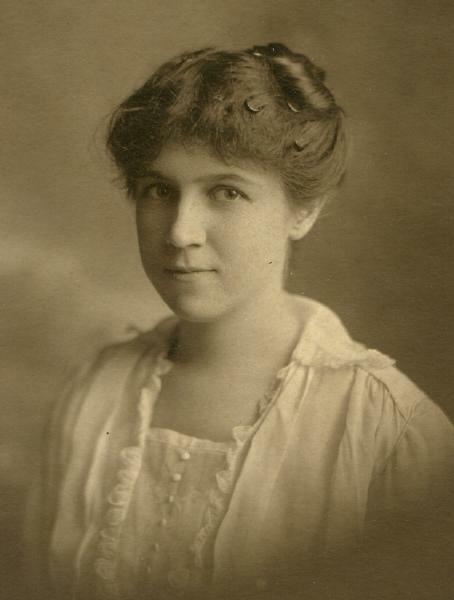 She married John Gideon Gregg, son of Alexander White Gregg and Mary Brooks, on 18 April 1917 in Fort Worth, Tarrant County, Texas, at South Henderson Street, at the home of C. K. Lee, with Rev. Alfred Hill officiating. The following appeared on 19 April 1917 in the Fort Worth Star-Telegram: Miss Mary Berry and Mr. John G. Gregg of Galveston were united in marriage Wednesday night at the home of Mr. and Mrs. C. K. Lee on South Henderson street, Rev. Alfred Hill officiating. The only attendants were Miss Eloise Berry and Mr. T. J. Caldwell. Masters B. K. Goree Jr. and Welford Lomax were the ribbon bearers. Easter lilies, carnations and sweetpeas mingled with ferns and palms formed the decorations. Only a few intimate friends witnessed the ceremony. Among the out-of-town guests were Mrs. Alexander White Gregg Jr. of Palestine, Dr. and Mrs. George H. Lee, Miss Lee of Galveston, Mrs. Clarke Campbell, Miss Sue Campbell, Miss Martha Lockett of Austin, Miss Julie Lee Wren of Galveston, Mr. and Mrs. H. D. Ponton of Houston, Mr. R. D. Goree of Knox City, Mrs. Ashley Poyner of Waco. Mrs. Gregg is the daughter of Mr. and Mrs. James Berry of Bedford, Val, both deceased, and the adopted daughter of Mr. and Mrs. C. K. Lee. The groom, Mr. Gregg, is the son of Congressman A. W. Gregg of the Galveston district and is himself assistant attorney of the Gulf, Colorado & Santa Fe Railway Company, associated with the firm of Terry, Calvin & Mills, Galveston. John Gideon Gregg registered for the draft on 31 May 1917 in Galveston County, Texas, while living with his wife at 2407 Avenue J in Galveston, and employed there as a lawyer with Gulf, Colorado & Santa Fe Railway Company. Charles Kleber Lee and Lucie Frances Campbell appeared in the US federal census of 1 January 1920 in Fort Worth, Tarrant County, Texas, at 1404 South Adams enumerated next to B. K. Goree and his wife Lucie Wren.. Other members of the household included Mary Annis Berry, John Gideon Gregg and Lucie Lee Gregg. Also in the household was one female domestic servant. The following appeared on 1 September 1921 in the Fort Worth Star-Telegram: Five years, for the delivery of a special delivery letter, is considered a little unusual, even in this day of delayed mail service. However, it required five years, three months and twenty-nine days for a special delivery letter mailed in Galveston to reach its destination in Fort Worth. The letter was written by John G. Gregg, now attorney for the Gulf Production Company, to his wife who was at the time Miss Mary Berry of Fort Worth. The letter was mailed on Sept. 17, 1915, and was received in Fort Worth Jan. 6, 1921. When received here the letter was in an excellent state of preservation. The paper had not even lost its original color. Gregg denied that the letter contained a proposal or anything of the kind. "No, it was just a plain letter," was his remark. "But I call that some time for the delivery of a letter," Gregg said. The following appeared on 28 June 1925 in the Richmond Times-Dispatch: (Bedford, June 27) Mrs. John Gregg and two daughters, of Fort Worth, Tex., and Miss Eloise Berry, of Austin, are visiting Mrs. George Miles and other relatives in Bedford. Mary Annis Berry became a widow at the 2 October 1926 death of her husband John Gideon Gregg. Charles Kleber Lee and Lucie Frances Campbell appeared in the US federal census of 1 April 1930 in Fort Worth, Tarrant County, Texas, at 1404 South Adams. Other members of the household included Mary Annis Berry, Lucie Lee Gregg and John Clarke Berry. Mary Annis Berry appeared in the US federal census of 1 April 1940 in El Paso, Texas, at 2815 North Florence Street. Other members of the household included Lucie Frances Campbell, Winston Lee Black and Lucie Lee Gregg. The family was living in the same place in 1940. She officially witnessed the death of Lucie Frances Campbell on 6 July 1943 at Southwestern General Hospital in El Paso, Texas. Mary Annis Berry died on 12 August 1944 at age 49 in El Paso, Texas, at 2815 North Florence Street at her residence. She was interred at East Hill Cemetery, Palestine, Anderson County, Texas.